NYC Hiatus Now Over! I&#39;m Back! NYC Hiatus Now Over! I'm Back! I took a 3-day Vintage Bridge hiatus while vacationing in NYC for the weekend. I'll have some fun posts about my trip in the coming days. 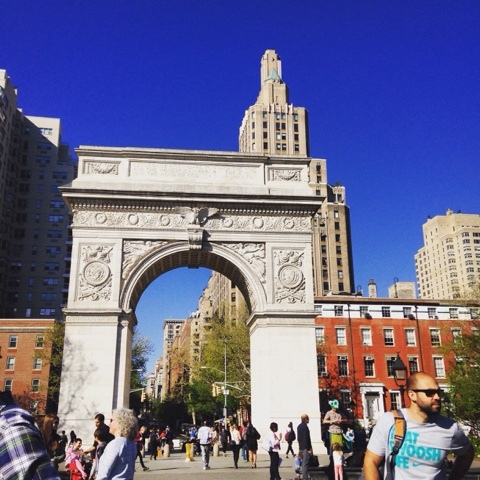 Washington Square Park was so beautiful this past Sunday! Busy, vibrant, perfect "lightweight cardigan" weather. And I saw tons of people reading real-life paper edition books! A sight for a bibliophile such as myself.